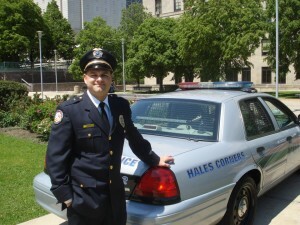 Welcome to the Hales Corners Police Department website. This site intends to provide you with; information about our Department and the services it provides, as well as a tool to answer common questions. If you have any specific questions please do not hesitate to contact me. I am available by either phone (414) 529-6140 or e-mail ecera@hcpd.net. If I can’t immediately assist you the Department is staffed with caring professionals who are ready to assist you at any time on any day. The staff of the Hales Corners Police Department and I are proud to be a part of the Hales Corners Community.